Hermanus literally is an adventure-playground and offers you loads of amazing activities to keep you very entertained and busy. Many visitors to South Africa wish to see African Safari animals roaming free, so thankfully only 2 and half hours drive from Hermanus / Cape Town there is an excellent Safari park, which offers 3 to 4 hour game drives in open sided Land Rover Jeeps with professional Safari Game Rangers; while also operating some incredible conservation initiatives too. Rhinos are being slaughtered for their horns at a horrendously outrageous rate and what this park started (and is now being adopted by many other Safari parks across South Africa) is a way of hopefully deterring poachers, by injecting their Rhino horns with a coloured dye, a poison to humans and an x-ray detectable solution, all of which are totally harmless to the Rhinos. Their Rhinos have now had this important treatment. 2 saved baby rhinos are also at this park. With only 800 wild Cheetahs left roaming free in South Africa, their gene pool has been substantially weakened, with the result that sometimes babies are born deformed and unable to survive in the wild. However what this park has been fantastically operating since 2001 is a marvelous breeding program to strengthen the gene pool; while also re-training the parks Cheetahs to chase and hunt for themselves too - with 2 Cheetahs being released into the main reserve recently. 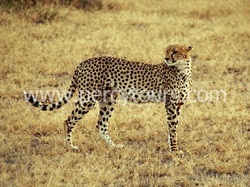 Other Cheetahs are tame “ambassadors” and interactions with you and these fantastic creatures are also available. 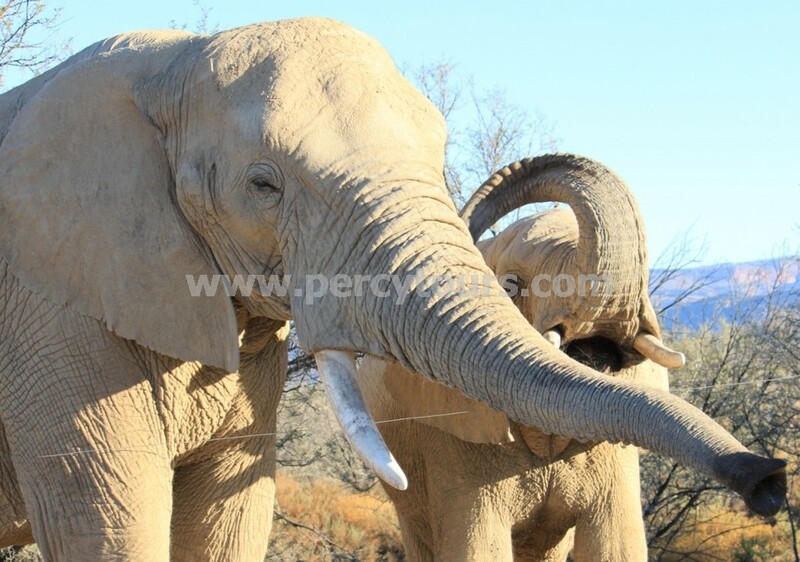 This park has recently re-introduced Elephants, which is the first time in 150 years that these iconic African creatures have been allowed to roam free in the Karoo. Once these 2 males have settled into their new homes, then female elephants will be introduced to the park soon. 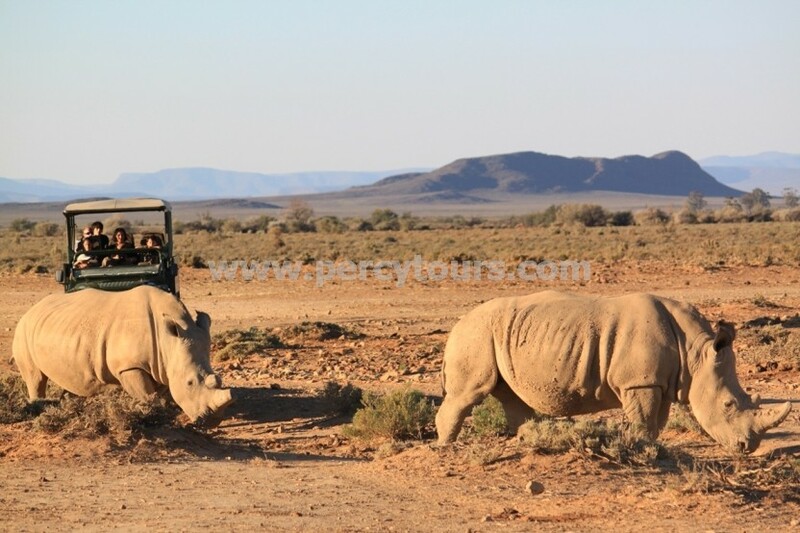 Other African animals that can also be viewed at the park are – Lions, Hippo, Giraffe, Cape Buffalo, Eland, Kudu, Springbok, blue & black Wildebeest, Zebra, Steenbok, Bontebok, Duiker, Nyala, Ostrich, Lechwe, Oryx (Gemsbok), Impala, Rhebok, Blesbok and many more species….. This Safari park is most certainly worth a visit, not only to see splendid African animals roam free but to also witness the utterly excellent conservation work that they are doing too. 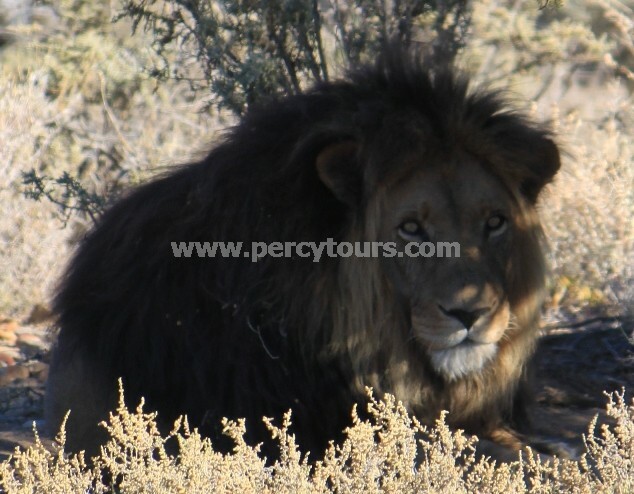 For those of you that wish to see African animals but are on a very tight time-agenda, then there is a Cheetah park and an African Eagle / Owl sanctuary located between Hermanus and Cape Town, only 45mins away.